We know that your purchase is only a small part of your total ownership experience, and even more important is the service after the sale. 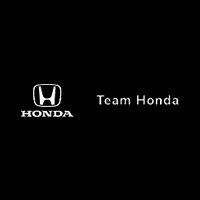 With that in mind we have created a short video to introduce you to our service departments and tell you everything you need to know about servicing your vehicle at Team Honda. At Team Honda we have a full staff of factory certified technicians so it’s always easy to get in for an appointment most times within 24 hours and many times even on the same day. Whether you need a simple oil change, a set of tires, new brakes, a new battery or a major transmission or engine repair we’re your one stop shop.